Massage therapists and physical therapists come together! Just back from an amazing teaching tour in freezing Michigan. One big thing I love about teaching for Pesi is the community that is formed from having PT’s and LMT’S in the same class. A gap is bridged, community is formed and we have more in common than we thought! True story – I was teaching my Releasing the Iliopsoas seminar several years ago in Baltimore. An occupational therapist approached me at lunch and told me the following story. Several years ago she had severely injured her low back during a transfer of a patient. She had back surgery, which didn’t help much. She could not sit for more than five minutes for over two years. For over two years she went from doctor to doctor searching for an answer to her chronic pain. Finally, in desperation, she went to a massage therapist, who immediately zeroed in on her iliopsoas. That night she was able to have dinner with her family for the first time in two years! She went on to get her massage license and still is a practicing OT. Even when we are still, we are moving. Blood circulates, lymph flows, the heart beats, stomach juices swirl, cerebral spinal fluid pulses, cells migrate, rib case and lungs expand and contract. There is a universe of silent movement occurring inside us every second. There is no conscious effort to these movements. We do not have to decide to digest my food. If we eat something our digestive systems, governed by our brain, takes care of it. In contrast to these involuntary movements are the movements we decide to do, or voluntary movements. Voluntary movement is active; it requires consciousness, intent and will. When we decide to brush our teeth we must first have the intent and the will to perform that activity before we can reach out with our hand to grasp the toothbrush, put toothpaste on the brush and bring it to our mouths. Like all positives though, there is an inherent negative in this advantage. If I am thinking about my idea for a new dance or planning my day while I’m brushing my teeth, I cut myself off from much of the sensory information I am receiving from my movement. The skin, joints and muscles have sensory receptors that telegraph information to my brain about pressure, pain and the position of my body, among other things. These sensory receptors, our proprioceptors, are the internal eyes of the body. 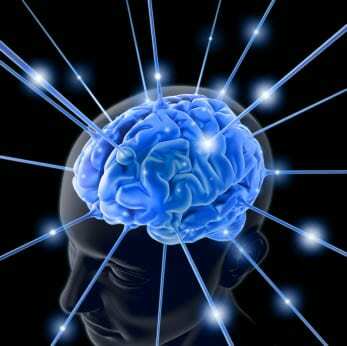 They transmit a continuous sensory flow from the movable parts of my body and have been called our secret sense. Movement activates our proprioceptors and it is the feel of our movement that offers us a view into our body’s mind. Increased awareness of our movement and postural patterns comes from attending to our sensory systems. We can use this wonderful and exquisite sensory system to enhance and deepen our ability to find and communicate with our body’s mind. I believe that my mission as a bodyworker is two-fold: to perform manual techniques that reestablish function and relieves pain and to facilitate my clients “re-membering” their bodies through simple movement exercises that use visualizations and images that directly communicate with the central nervous system. These exercises are designed to restore proprioception, hydrate tissue and increase kinesthetic awareness, allowing the person to reclaim forgotten body parts. Using sensations and images is a more direct, powerful, pleasurable and playful way of communicating with our bodies. Our nervous system has a beautiful and innate wisdom and if given the chance, it will engage the best neuromuscular pathway to produce my movement goal. This manner of communicating allows me to engage myself fully and change habitual patterns from the inside out. One of my favorite exercises to give is “Write your name with your tailbone!” The pelvis needs and wants circular and spiral movement but too often all it gets is sagitally based movement. 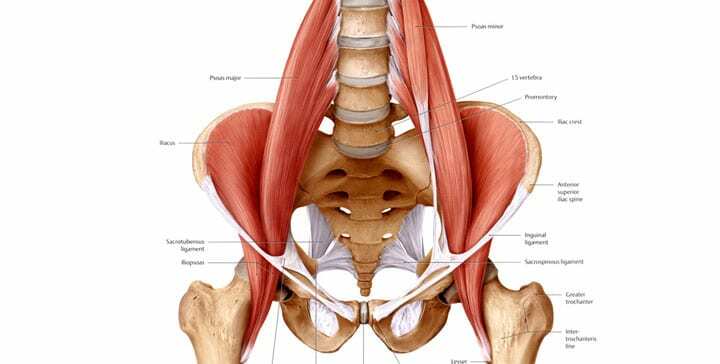 I give this exercise as homework to all my clients because I believe that restoring awareness of the pelvic girdle is a key component in healing most injuries and chronic conditions. Do it yourself many times before teaching it to a client. When you’re ready to teach it to a client, I promise you, even the most resistant client will have a smile on their face when they have done this silly, slightly zany exercise. 2. Stand with your feet hip width apart or slightly wider. 4. Imagine a paint brush growing out of your tailbone with the brush side down facing the floor. 5. Write your first and last names with your tailbone in script. Cross your T’s and dot your I’s! do it at least three times. For those clients who can’t stand, not a problem. I’ve taught variations of this exercise this in nursing homes to wheelchair bound populations and to clients lying in supine. For those people I ask them to imagine their tailbone is covered in their favorite color and to draw tiny circles with it. Create your own versions. It’s all about reconnecting with the core of our body, the core of the matter. I currently have a client who has a right frozen shoulder and a bulging disc that sends pain and tingling/numbness down her right leg and foot. By her own admission she says “I got so caught up in writing my book I forgot I had a body.” She loves doing the tailbone dance and it brings her temporary relief from tingling/numbness down her right leg and foot. Juhan, Deane. (1987). Job’s Body. Sweigard, Lulu. (1974). Human Movement Potential: It’s Ideokinetic Facilitation. Sacks, Oliver. (1970)The Man Who Mistook His Wife for a Hat. Bodywork is hard on the body! Sounds almost like an oxymoron doesn’t it? Lower backs, arms, wrists, thumbs and feet can all scream for a massage or at least a hot Epsom salts bath at the end of the day. Here’s some tips and tricks to help you respect your ecology of movement. And remember, every time you find a stance or position that is more aligned with good body mechanics, that sensation is immediately transferred to your client. Every time you take care of you, you are also serving your clients. 2. I remember taking a workshop with the late, great Bob King and being amazed that he never flexed his spine. He always hinged at the hips. 4. Need to exert more pressure? From a lunge position, lean into your back foot. This one is a bit counter-intuitive because our impulse is to lean forward which stresses the arms, shoulders and back. Leaning into your back foot allows the marvelous mechanism of leverage to achieve more pressure. Speaking of saving your body, my newest book, Stabilizing the Core and the SI Joint is coming soon. Incorporating the six core assessment tests and muscle energy technique corrections featured in the book before I do my deep tissue/trigger point work completely changed my practice. The tissue was more responsive to my work and I could work smarter, not harder. Stay tuned for more details. Retire Atilla The Thumb and go Muscle Swimming! Do your hands and body hurt after working with clients? You are not alone. It’s time for all bodyworkers to work smarter, not harder with minimum effort and maximum results. Since every muscle has an automatic sensory reflex whose job it is to resist sudden change from external forces, let’s retire Atilla the Thumb and go Muscle Swimming instead. As manual therapists we all face the question, “How can I best facilitate tissue release and allow the muscle to return to its happy, healthy resting state while maintaining my own ecology of movement?” I stumbled across an answer to that dilemma about twelve years ago and have been refining my approach ever since in both my private practice and CE seminars. I call it Muscle Swimming because I was delightfully amazed by how effortlessly I “swam” through tissue layers when I implemented the two primary techniques of Muscle Swimming, Pin and Rock and Pin and Move. Utilizing these strategies completely transformed my sessions, both for my clients and me. My clients loved how easily and painlessly I achieved tissue depth and release. Therapeutic effects of sessions lasted longer and outcomes were easier to achieve. I felt more energetic and present since I wasn’t working so hard. I smiled more! Muscle Swimming uses physiology to facilitate release of myofascial structures allowing the therapist to work smarter and the client to have co-ownership of the session. Active and passive movement strategies are essential ingredients in all the Muscle Swimming protocols. This powerful combination of active and passive movement maneuvers turns off hyperactivity in muscles and joint receptors. It also facilitates the separation and lifting of fascial layers. In this article we’ll focus on the wondrous portal of Pin and Rock. Pin and Rock is a compelling strategy that serves as a portal to deep tissue work. The therapist gradually presses to find the tissue’s first barrier. Then the muscle is gently pinned, and the therapist adds slow rocking. Rocking has an immediate calming effect. It stimulates the parasympathetic system, harking us back to the time when we were rocked for nine months in the womb. Think of it as a way of introducing yourself and saying hello to the tissue. Our first encounter with a stressed myofascial unit should be gentle and non-threatening. Passively shorten the muscle, gently pin it with multiple fingers for a broad, dispersed pressure and add a slow rhythmic rocking of the joint. In fact, the first nerves to myelinate in the human fetus are the vestibular nerves which sense movement. Our first consciousness is that we are moving beings. Be patient – wait for the tissue to soften and yield before moving to the Pin and Move protocol. Come back to this Pin and Rock maneuver whenever you sense guarding in your client. Watch the video below to see an example of Pin and Rock to melt through myofascial layers to access the iliopsoas. Next month we’ll look at Pin and Move – using active movement to release myofascial contractures and improve proprioception. The short, thick quadratus lumborum (QL) is a wonder of a muscle. 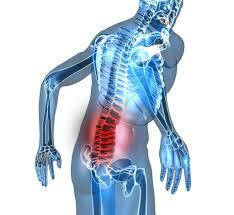 While the iliopsoas initiates walking, the quadratus lumborum provides the powerful stability so we can walk. Some researchers believe that complete bilateral paralysis of the quadratus lumborum would make walking impossible, even with braces. 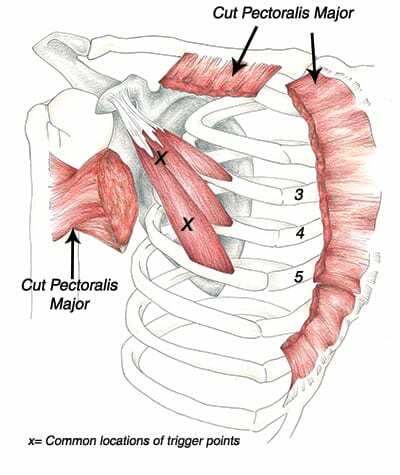 This magnificent muscle is an essential component in the bedrock of our bipedal freedom. The two QLs work as a team, along with the iliopsoas and lumbar paraspinals (multifidi, erector spinae) in stabilizing the lumbar spine. Like the iliopsoas, if this fundamental stabilizer is distressed it can be like a hurricane blowing through with devastating effects. Any movement can be painful, including urination and defecation. The pain may be excruciating in any position that increases weight bearing and requires stabilization of the lumbar spine. Rolling onto either side from a supine position is painful and difficult; coughing and sneezing can be agonizing. In fact, bending forward, twisting, and sneezing or coughing at the same time can throw the quadratus lumborum into spasm. If it’s not a full-blown hurricane, an irritated quadratus lumborum can blow an ill wind of persistent aching pain and gradual loss of lower back and pelvic flexibility, range of motion, and vitality.